SAP Fiori 2.0 is a significant step in the evolution of user experience for SAP business applications. It has a significant impact on the Fiori Launchpad. You probably would have heard of the new visual theme called Belize. 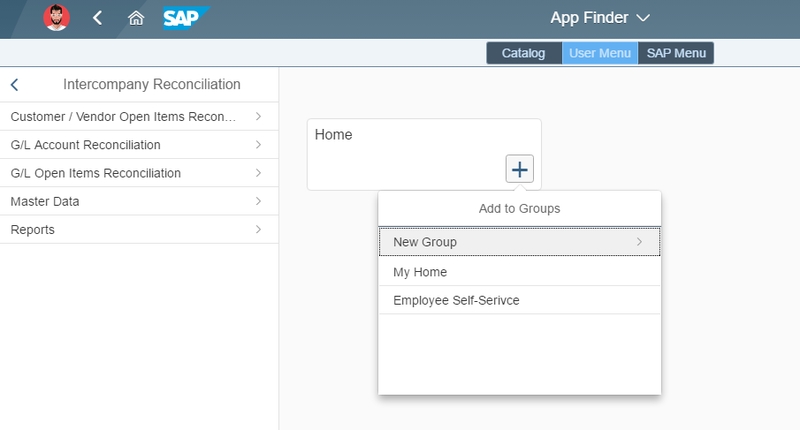 Fiori 2.0 also brings an improved design for the SAP Fiori Launchpad with user profile, a recent objects menu, and improved home page with features like link lists/Anchor navigation etc. There is also an “App Finder” which has been introduced to allow users to browse and explore the available Apps. User Menu: All apps that have been assigned to a user in a specific system. You would find these Apps in the user menu in SAP Logon. SAP Menu: All apps which exist in a system. It doesn’t matter is the user is assigned these apps or access to it. You would find these Apps in the SAP menu in SAP Logon. Fiori Launchpad which is now also delivered in the Cloud is an instance of the Cloud Portal. Customers who are already using Fiori Launchpad on the cloud, can now easily switch to a Fiori Launchpad which is now based on Fiori 2.0 concepts. All it requires is selecting an Innovation SAPUI5 version within the Portal site settings. Its that easy – You don’t need to upgrade or patch your backed system for this. Having a Fiori Launchpad in the cloud offers several benefits, especially when you are in a hybrid landscape and need a single entry point for accessing Cloud apps as well as Classic UIs (SAP GUI for HTML or WebDynpro ABAP) from on-premise Business Suite systems. In one of my previous blogs, I explained how you could configure a tile on the Fiori Launchpad to call a Classic UI based app. In this blog, I am going to show how you can configure the Fiori Launchpad to provide SAP Access Menu functionality. 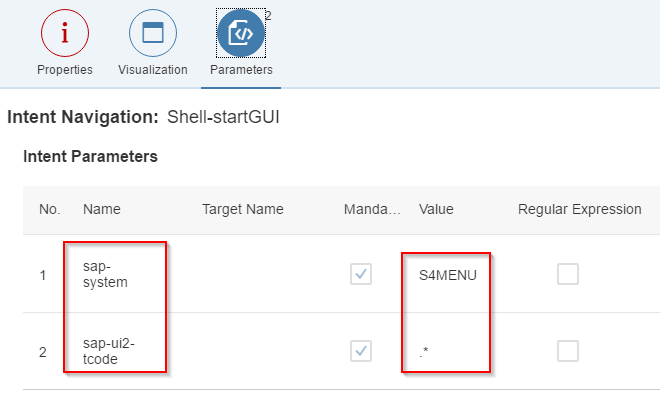 This would allow your users to be able to browse through the SAP GUI and WebDynpro Apps which are available in the User menu as well as SAP Menu – all from the Fiori Launchpad. On your Gateway system, ensure there are two RFC destinations to your backend system. /UI2/EASY_ACCESS_MENU – Service to retrieve SAP menu entries. /UI2/USER_MENU – Service to retrieve User menu entries. You need to create a destination with the name “EASY_ACCESS_MENU” which refers to your Gateway system. It needs to be exactly this name. Add another destination S4MENU. We will use this name later in the configuration while configuring the App parameters. Expose your SAP Gateway system to the HANA Cloud Platform Account using Cloud Connector. Provide a virtual alias name same as the hostname of your backend system and enable access to the relevant resources. SAP Access Menu will only work when the Cloud Connector is turned on and there is a connection to the existing HANA Cloud Platform Account. In order to view the SAP Access menu, it first needs to be enabled from the site properties. You would need to configure two Apps. One for SAP GUI access and another for WebDynpro ABAP applications. Instructions on how to create these two can be found in the SAP Help documentation. With this, all the required configurations are complete. You can now navigate to the App Finder and access the User Menu. You can select the required App and also add it to your groups from the same place. Similarly, you can also browse through all the SAP Menu Apps. You may or may not have access to execute these Apps. But atleast you can browse through and view all the available Apps. 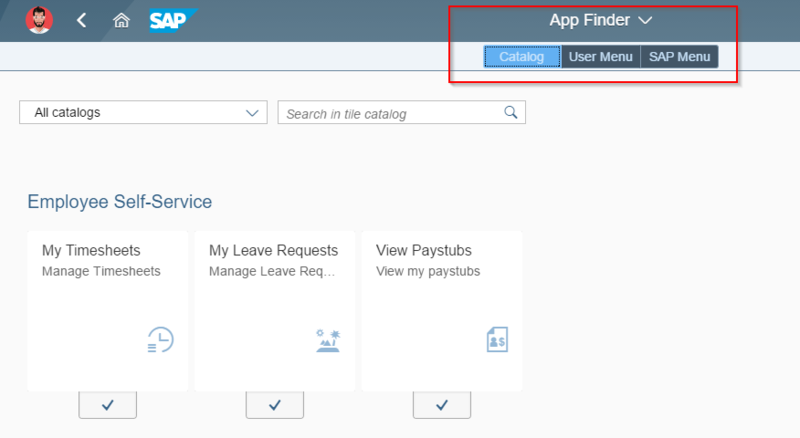 This shows how you can quickly configure your Fiori Launchpad on the Cloud Platform to browse through your SAP Access menu and add those Apps which are based on Classic UIs to your home page. Helpful as always. Any blog on the way to combine on-prem UI5 apps (for e.g. HR ones) with HCP UI5 apps in a HCP FLP site ? This would be an on-prem and cloud mash up of apps and seems to be a common requirement that we see coming up. on-prem UI5 apps are available on a front end server (gateway) and would be good to get these as a catalog in FLP, just the same way we are able to do it in a on-prem NW portal. Thanks Parag. I have been thinking of the same for the last few days. Unfortunately, I am not aware of a tight integration of on-premise Fiori Apps/Catalogs with HCP FLP. You could launch the on-premise UI5 apps as a URL, however this would open in a new window and not within the Launchpad shell. Another option would be to centrally manage all the UI5 apps in HCP. If there are standard apps and if they are not yet available on HCP, you could tweak those UI5 apps and deploy them to HCP. I have submitted an Idea to the Portal team. Fiori 2.0 concepts are already available in NW 7.5 Portal SPS06 since January for “experimental use”. Very helpful blog. Is there a way we can do this using the OData provisioning service? Thanks. I believe it is in the roadmap. Actually I am using S/4 Hana Cloud . So as expected there is no SAP GUI. Now I am not able to see the 2 buttons “SAP MENU” and “USER MENU” in the APP Finder. Its not there by default for any user . So is there any way I can enable these 2 buttons on S/4 HANA CLOUD Version.